At least once a week, I shoot for having a date-night-in type of dinner. Most evenings we eat with Mack but occasionally I wait until he’s in bed and cook a non-toddler friendly recipe. I pour myself a glass of wine (in this case, La Crema Monterey Chardonnay) and start to unwind. Typically I choose something that is also fairly hands on like homemade pasta or pizza. This white bean gnocchi is also on the rotation. I love a comforting bowl of gnocchi and while I typically use a ricotta version, this white bean is a fun way to sneak protein into a meal. Plus, the flavor isn’t too bean-heavy which means it’s great for even those who aren’t a big fan of beans. 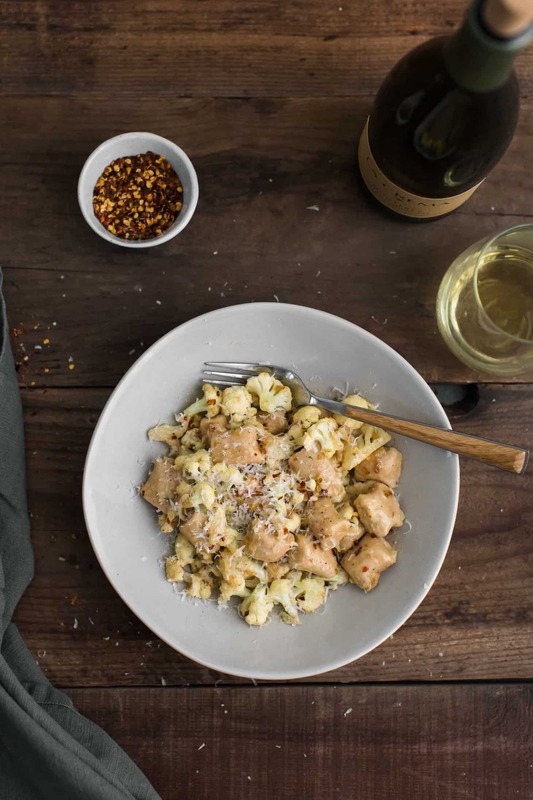 The post White Bean Gnocchi with Cauliflower and Cream Sauce appeared first on Naturally Ella.